There are always many activities at Harrow United Church. 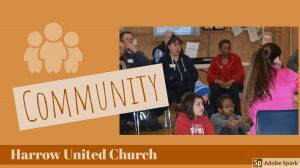 See what’s happening by following Harrow United Church on Facebook or checking out activities and events right here on this site. Click on the link to read more. And remember that you are welcome here.